VIPAccessEXCLUSIVE: Gerardo Mejia And Nadia Mejia Interview With Alexisjoyvipaccess At The 2017 Young Entertainer Awards! They’re one awesome dynamic duo – a musical sensation and one spectacular model, they’re the phenomenal Gerardo Mejia and Nadia Mejia. We all know Gerardo Mejia for making an incredible impact in the music world as the one and only, Rico Suave. Gerardo Mejia continues to leave an everlasting mark in the entertainment industry with all of his exceptional music projects and also always showing his support towards his outstanding family. Gerardo’s daughter, Nadia Mejia is known worldwide for being one amazing model. In addition, she was also Miss California USA in 2016. However, Nadia Mejia is not just a beautiful face, she’s stunning both inside and out. She uses her platform to spread positivity and inspire others any and every moment that she can. Nadia is a remarkable influence to everyone and she encourages people to be confident in themselves and love who they are. It’s so magnificent to see the terrific bond that Gerardo Mejia and Nadia Mejia have with one another. They share some of the greatest laughs and memories together and at the same time, they work together to change the lives of many for the better. 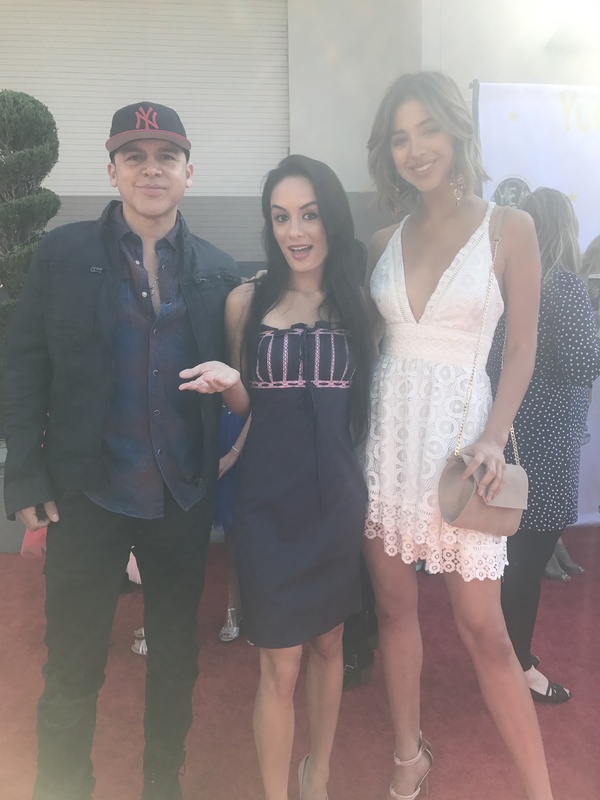 I, Alexisjoyvipaccess had a fantastic time covering the 2017 Young Entertainer Awards and had a brilliant time interviewing Gerardo Mejia and Nadia Mejia at the event. Gerardo Mejia and Nadia Mejia dished exclusively to Alexisjoyvipaccess all about what it was like for them to co-host this year’s Young Entertainer Awards, what are some exciting, upcoming projects they are working on that fans can look forward to including a possibility of Nadia getting into some music, and so much more only in our VIPAccessEXCLUSIVE interview. Gerardo and Nadia Mejia even took on a fun “Who Knows Each Other Better” speed round – find out who won in our VIPAccessEXCLUSIVE interview below. Thanks for the fun interview, Gerardo and Nadia! Check out my VIPAccessEXCLUSIVE interview with the sensational Gerardo and Nadia Mejia at the 2017 Young Entertainer Awards below! Previous VIPAccessEXCLUSIVE: Shahadi Wright Joseph Interview With Alexisjoyvipaccess At The 2017 Young Entertainer Awards! Next VIPAccessEXCLUSIVE: The Marvelous Paris Smith Interview With Alexisjoyvipaccess At The 2017 Young Entertainer Awards!